You want to be healthy and fit but you find it hard to stay consistent and motivated. Sounds familiar? The good news is there has never been so many options to help you be supported, motivated and feeling and looking at your best! 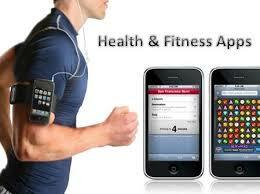 In recent years, technology options have exploded with fitness trackers and apps on our phone. 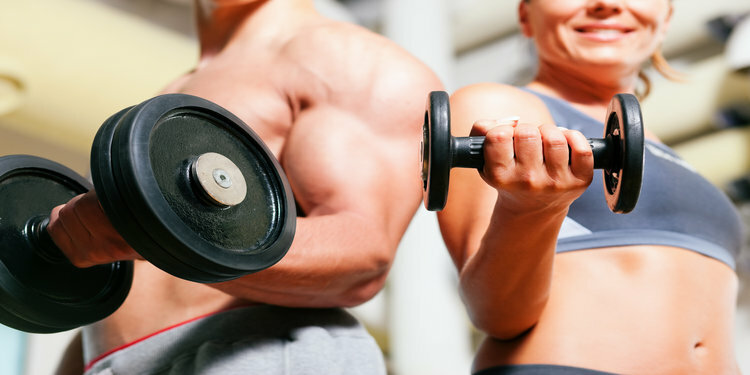 These tools have made it easier than ever to reach the goals that are important to you, from losing weight to feeling stronger, by allowing you to track your progress and more importantly to stick with your good habits. We are connected in so many ways with social media such as Facebook, Instagram and Twitter, and our phones never seem to be too far from our hands. This is an opportunity to use a fitness tracker app to help develop some accountability, motivation and support. There are many apps that will track your activity, provide workouts, log eating habits and promote a community of members who can support your healthy lifestyle. Here are some of the ones that really stand out from the pack. MyFitnessPal gives you loads of tools for tracking what and how much you eat, and how many calories you burn through activity. It’s one of the easiest to manage, and it comes with the largest database of foods and drinks. With the MyFitnessPal app you can watch what you eat 24/7, no matter where you. A free app is available on Android, iOS, Kindle, Nook, and Web It’s designed for counting calories and logging exercise, can help you lose weight. This app has been around for many years, has an incredibly strong community of supportive people to help you stick to your goals. Lose It! is compatible with a long list of other fitness devices and apps, including Fitbit devices, and Jawbone UP, so you can import your calorie intake and balance it effortlessly against your calorie expenditure. http://www.fooducate.com A free app that is Available on Android, IOS and web. This diet app advises you how healthy foods are based on their nutrients and ingredients rather than only calories.. It can help you lose weight by showing you how to eat right. 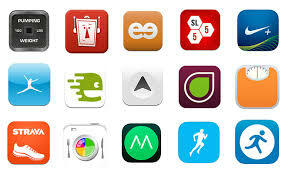 A free app available on Android, IOS, web offers over 100 workouts led by professional athletes. You can stream the workouts from your phone to your TV or tablet. Plus you can share your workouts on all of your favorite social networks to show everyone what a fantastic job you are doing! A free app available on available on android, IOS, and web. It’s is a social networking site for fitness that combines exercise tracking, social networking, and gaming elements to create a site that hopefully helps keep you motivated to reach your fitness goals. Finally, while this is not a fitness tracker per se, it is still pretty cool, so I thought I would mention it. The Carrot Reward app (www.carrotrewards.ca) is a new app to get Canadians to adopt a healthier lifestyle. It is only recently available in Ontario. The app will give you various types of cashable points, such as Scene, Petro Points, Aeroplan, etc. for reaching various activity levels (such as steps), adopting healthy behaviours (like getting your flu shot) or simply taking short quizzes that put your health and fitness knowledge to the test. All you need to do is sync up the app with your fitness tracker on your phone. Who doesn’t like free stuff!!? The take away is to develop good habits and get the results that we are after sometimes we need a little help. These nutrition and fitness apps can help keep you motivated, and make the process of losing weight and getting healthy a more enjoyable experience. They are fun and involve technology which is easy to share with friends which makes it social and can improve accountability. Give them a shot and see how they work for you. I operate Fast Track Fitness at Prime Personal Training, a private studio located at 429 St Laurent Blvd in Ottawa, Canada. My mission is to empower people to achieve a healthier mind and body through fun exercise, delicious meals, and a positive mindset. I will keep you on track with a variety of custom programs and ongoing support. I offer health programs that focus on weight/fat loss, and injury/disease prevention and rehabilitation. I have coached hundreds of clients to stellar results over the last 15 years and look forward to celebrating your success story.